Abu Dhabi National Oil Company (ADNOC) has agreed to hire half of the 2.5 million tonnes underground strategic crude oil storage that India has built at Padur in Karnataka, making it second such deal by the UAE firm in the state. Indian Strategic Petroleum Reserves Limited (ISPRL) CEO and Managing Director HPS Ahuja said ADNOC will store oil in two of the four compartments of 0.625 million tonnes (MT) each. "They signed a memorandum of understanding (MoU) in November last year and now they have agreed to take two compartment of 0.625 million tonnes each. A final agreement will be signed soon," he said on sidelines of the Petrotech 2019 conference here. ADNOC had in February 2018 signed a pact to fill half of the 1.5 MT strategic oil storage at Mangalore. It signed an MoU for Padur in November 2018. "The remaining half of Padur storage will be filled up by auctioning the space," Ahuja said. ISPRL will shortly seek interest from oil companies and traders willing to store oil in the Padur facility, he said. Companies hiring the strategic storages can sell or trade crude oil stored in the underground rock carvens to local refiners, but gives Indian government the first right to the oil in case of an emergency. While a third of the Visakhapatnam facility has been hired by Hindustan Petroleum Corp Ltd (HPCL), ADNOC and government of India filled the storage at Mangalore. The 2.5 MT Padur facility remained empty. Allowing foreign companies to use the storage for storing crude oil helps the government save on the cost of filling the reserves. The ISPRL has constructed and commissioned underground rock caverns for storage of total 5.33 MT (around 39 million barrels) of crude oil at three locations Vishakhapatnam (1.33 MT), Mangalore (1.5 MT) and Padur (2.5 MT). Padur storage has four compartments of 0.625 MT each; and ADNOC will use half of the storage capacity for stocking its oil, Ahuja said. The total 5.33 MT capacity under Phase-I of the Strategic Petroleum Reserve (SPR) programme is estimated to supply about 9.5 days of India's crude requirement. In Mangalore, ADNOC had agreed to stock 5.86 million barrels or 0.75 MT of oil. In Phase-II, India plans to build an additional 6.5 MT facilities at Chandikhol in Odisha and Padur, which is expected to augment the emergency cover against any supply disruption by another 11.5 days. India, which meets 83 per cent of its oil needs through imports, built the storages as insurance for any disruption in supplies. It has the right of first refusal to buy the crude oil stored in the facilities in case of an emergency. 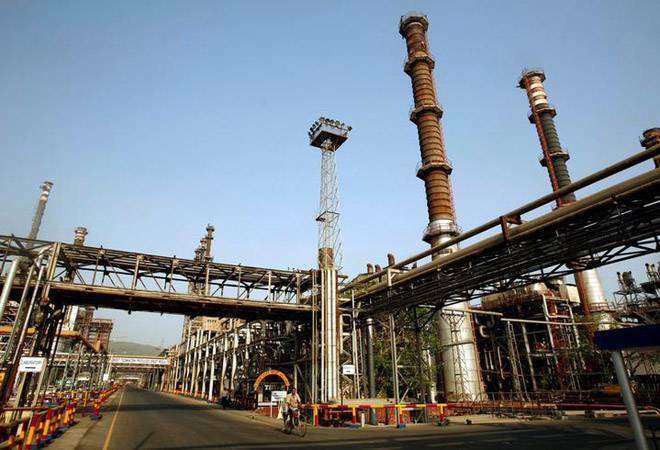 Indian refiners maintain 65 days of crude storage, and when added to the storage planned and achieved by ISPRL, the Indian crude storage tally goes up to about 87 days. This is very close to the storage of 90 days mandated by International Energy Agency (IEA) for member countries. ADNOC had in 2017 given up its crude storage lease in South Korea and instead agreed to store oil at Mangalore in a bid to establish a ground presence in the world's third-largest oil consuming nation. Out of the crude stored, a part would be used for commercial purposes by ADNOC, while a major part would be purely for strategic purposes. The Visakhapatnam facility can meet two-and-half days of India's oil need while Mangalore can meet 2.8 days requirement. Padur can meet 4.7 days requirement.